A celebration of North Kitsap’s Finest Boos and Booze! 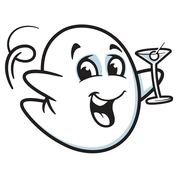 Spirits & Spirits combines the spirit of the Halloween season with some of the area’s best brews, wines, and spirits in a week-long event to highlight the very best North Kitsap has to offer. Discover all the great offers and events throughout North Kitsap. To learn more about Spirits & Spirits, find Spooky Specials & to get your pass visit SpiritsandSpiritsFest.com.